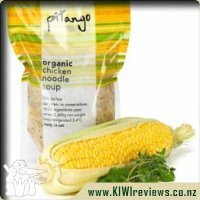 A perfect all-rounder sauce, it&apos;s low in sugar and sodium, fresh and zingy. I was quite excited to receive some of this not so sweet chilli sauce. I absolutely adore Barkers products. My family loves chilli sauces and I do like a little bit now and again but I admit that most chilli sauces have the sweet element and for some reason this seems wrong to me. Its chilli. It should have a kick to it. Add in the fact that sweet means it&apos;s easy to consume, my lot can use a bottle in a couple days. I&apos;m pleased to report that this is good. It&apos;s not so sweet and it has a kick. But not such a kick that you are to scared to have anymore, but enough that you think to yourself &apos;now that&apos;s a chilli sauce&apos;, full of flavor and easy on the palate. We first tried it in wraps. 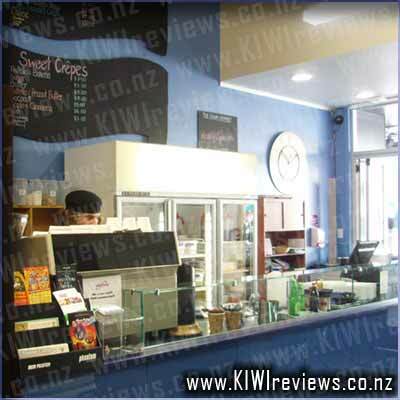 We actually had a KIWIreviews products review dinner lol with 60% of the food consumed being review goods. 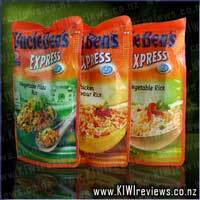 It was good fun and the different products supplied went well together in the wraps. The chilli sauce was a fantastic condiment to my chicken wrap. It did not over ride the taste of chicken nor cheese either. This is possibly the first product where I have not been put off by the presence of stevia. Normally I dislike this particular additive, but I did not register it when I tasted the sauce so either it was sufficiently subtle as to be non-invasive, or the particular mixture of ingredients masked its effect. Either way, I liked the combination! For me the predominant flavour, however, was ginger rather than chilli; this made for an interesting taste sensation as I had not consulted the list of ingredients before sprinkling a good portion over my food, so I was not influenced by any prior knowledge! I chose to try it with a deep pan bacon, egg and vegetable pie. This is a one-stop dinner dish which is great for busy people on the go but does lack flavour, especially as I don&apos;t add salt so have to rely on other spices to add interest. The sweet chilli and ginger mix was the perfect addition - not too hot, not too spicy, but piquant enough to give that extra zing to the meal. I had family around for lunch so they all got to try some of the pie with the sauce on top. The adults enjoyed it, but even the children gave it a go and said it was not too hot. 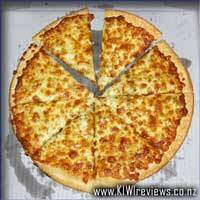 (Of course, they were given a very small quantity, but usually they reject the idea of anything with chilli in it.) I think the ginger was the key to toning down the chilli and providing more flavour without adding to the heat. The label features several menu suggestions as part of a colourful design reminiscent of country kitchens and home preserves. I tried one of them next day, mixing some of the sauce with some plain cream cheese and serving it as a dip with crackers. I thought it was nicer than the premixed chilli dips; the flavour was more subtle and it did not separate as commercial mixes tend to do. This meant it was less messy to eat - none of those bright red chilli drips all over your clothes as you raise the biscuit or potato chip to your mouth! This is a sauce that I am sure to try again. I love a good chilli sauce, one that is spicy without being overloaded with heat - flavour is just as important as kick for me now. In my Uni days, I got into a bit of a crazy "game" with a mate who worked at a kebab shop - he would try to make a chilli sauce I couldn&apos;t handle, and I would try not to let him see me suffer chemical burns to my mouth. It was a stupid game that caused major damage to my taste buds - damage that took me nearly 8 years to fully recover from. It was over 3 years before I could taste anything less subtle than horseradish sauce or wasabi. So, these days, a "hot sauce" is not a great drawcard for me, but a good "chilli sauce" that has flavour as well as heat is an excellent thing indeed... and that&apos;s what this is. That said, I agree that the ginger flavour was by far the more predominant flavour in the sauce and as such I feel it is somewhat misnamed. Still, it tastes pretty darned good, and that is, after all, the most important factor... "A rose by any other name would smell as sweet..." as Shakespear put it. I found the sauce to have a nice thickness and texture - it didn&apos;t all rush out of the bottle, but I also didn&apos;t have to bash the bottle to get the sauce to come out, and the translucent nature of the sauce made it visually very appealing. 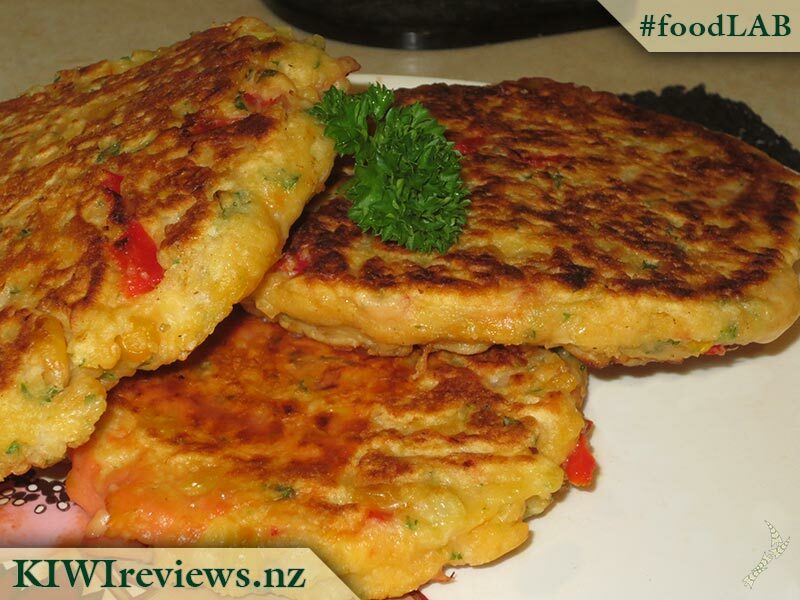 This was a great addition to my first foray into the realms of "making corn fritters" and added a wonderful level of spice, flavour and warmth to the recipe without drowning it or making it so spicy my fussy 8yr old wouldn&apos;t eat them. He noticed the spiciness, but admitted it wasn&apos;t so bad. Very high praise from a lad who finds a grind of black pepper in his eggs to be too much heat. I also mixed some of this with a tub of cream cheese and a dash of sour cream to make a really nice, smooth dip that went really well with cheese sticks and crisps alike. Overall, one of the nicest "chilli sauces" I have tried in a long time, and while I still think it&apos;s more a "Ginger with Chilli" sauce, it&apos;s still one I plan to keep a bottle of handy. I was really looking forward to trying this "not to sweet chilli sauce". I&apos;m not sure really what I was expecting except that hopefully it would be hot! The spice rating of medium got me excited to think it would be spicy. I opened the bottle and I could barely smell anything BUT ginger. This left me feeling slightly puzzled as to why I would be smelling such a strong scent of ginger in a not so sweet chilli sauce. I carried on and decided to dip my finger in. My nose was correct, the taste of ginger was totally overpowering in my opinion. Yes it did have a bit of a kick with the chilli flavour but I feel like the ginger ruined the flavour of the sauce. For tea we had a side of wedges so I got out my sour cream and tipped some of the not so sweet chilli sauce on top of it and begun to dip my wedges. I still felt like the ginger was the "main" flavour of this sauce and feel quite disappointed. I like ginger, don&apos;t get me wrong but I feel like the name of the sauce is a little misleading. I think it definately fits the "medium" spice rating however. I am unsure if this is something I would purchase again, if it had a bit less ginger so it wasn&apos;t so in your face then maybe I could be tempted to buy it again. Not so sweet chilli sauce was a million times nicer than I was thinking before I opened the bottle. I thought it would be super hot and sour but I was surprised,it was mild and sweet and had a lovely ginger taste perfect to use in our meals so the kids don&apos;t turn there noses up. I love the look of the bottle and that it was easy to open and you can view the contents inside so you know what you are getting, however as you get near the end of the bottle it would be nice to be able to squeeze the bottle rather than some super hard shakes to get the rest out. We tried out the sauce in a few different ways - the first was in some scones... so good! the second, we had them alongside sour cream on some wedges the kids demolished them for once without complaining how hot it was and finally we used them on some chicken wings in the slow cooker, delish!. 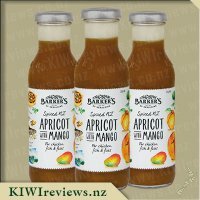 I would be very happy to pay the asking price for this sauce as it suits our whole family rather than having to leave it out of the meal as its too hot for some and too mild for others.If you are looking for a super hot sauce this is not the product for you but it does have a beautiful taste! we look forward to adding it into our shopping basket when we shop in the future. This product confused me to no end. 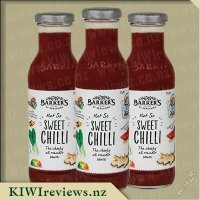 When you advertise a "not so sweet" chilli sauce, I would generally assume to find the sauce is not as sweet, and instead has a higher "heat" level. While the chilli flavour is not so sweet, the ginger takes the front stage, and I really found it far too strong. The ginger totally overcomes the chilli in flavour, and I would think this sauce more of a "mild ginger sauce". The chilli has very little role in the flavour, and instead has a role in the heat of the sauce. I wouldn&apos;t consider it medium myself, but my european flatmate felt it had a reasonable kick, so I suppose it depends upon your palate. I enjoy some strong chilli, so was hoping for a bit more strength. 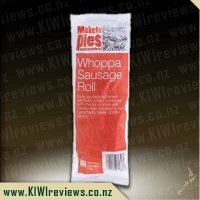 The ginger flavour didn&apos;t do it for me unfortunately, so this is not a product I will be trying in the future. I enjoy the flavour of sweet chilli, and hot chilli sauce, but this did not have enough for me. I can however say this; the thickness of the sauce, the sweetness of the ginger, and the slight "medium" bite of the chilli means this sauce would go great in a wrap or salad if ginger was your kind of thing. Okay, I was not at all sure how this sauce would turn out, I mean, I love chilli, but that is usually when it does have sweetness, but I still wanted to give this sauce a go to see how it went, and the results were surprising. To be completely honest, I only used this sauce once before I realized I was behind on reviews, but on the occasion that I did use it, it turned out quite well. 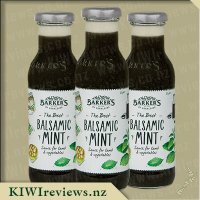 I don&apos;t think that this would be a good sauce for use as a dipping sauce on it&apos;s own, nor do I think it would be good on it&apos;s own, but I have to say that it really does work well as a flavour enhancer. I decided to use this stuff while making up a savoury mince for dinner. We were out of the regular flavour packets, so I wanted to bring flavour to the mince without the need for a flavour packet, and I thought that this sauce would be a good way to add some spice to the meal. This turned out well, I found that although the sauce wasn&apos;t sweet, it combined with the flavour of the mince and added a nice hint of spice and even helped to bring out a bit of the other flavours in the dish as well. 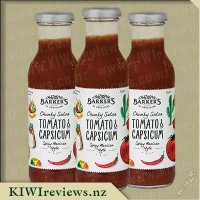 I used this sauce along with the Tomato and Capsicum sauce, so I think this sauce would work well with other sauces as well. I love the label on the bottle, it shows you all the information you need, including a handy little meter icon showing you the spice level. I also liked how there were a few examples of ways this sauce could be used laid out on the artwork, I think it is a great way to help inspire others on ways to innovate and experiment with this stuff, as well as showing them just a few ways to use this product so they know whether it&apos;s the right stuff for the meal they wish to make; It&apos;s brilliant. Overall, I would say this is an okay sauce that is better suited for making side dishes, or perhaps to add just a hint of flavour with some spice to go with it. What do you think you could do with this stuff if you had it? Go find out! Not So Sweet Chilli Sauce was not what I was expecting from a sweet chilli sauce. When I opened the easy to open bottle, I licked the lid and found it rather different from normal sweet chilli sauces. I tried this with wedges the other night and sour cream and it was great. It doesn&apos;t have a massive kick to it, but it has a unique sweet and sour taste to it as well. The kick you get from it is enough for the taste buds to wake up, but not enough that you need to reach for a drink. I used the Not So Sweet Chilli Sauce on my steak last night and it added an extra yummy flavour to it, something different than the normal tomato sauce or tomato based dressing. I think this sauce is great for the price and I love how its gluten free. Can taste the ginger in the sauce which I guess is what gives the Not So Sweet Chilli Sauce that different flavour. I find this an interesting taste and different from any other sweet chilli sauce I have tried. I also really like the bottle and the labels that Barkers produce for their bottles. 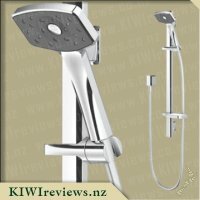 Its eye catching and has all the best information about the product popping out to you. 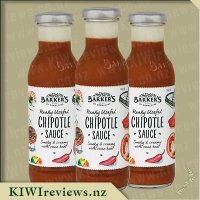 For the price of the bottle, it is great and something I would be prepared to pay for a sweet chilli sauce. 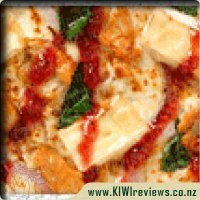 I would think that the sauce would be amazing for hot platter food dip and also with chicken wraps or with pizza. 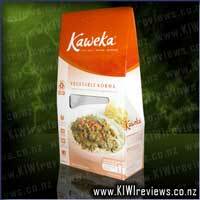 The ginger taste as well as the chilli hit will add extra variety to any meal it is added to. 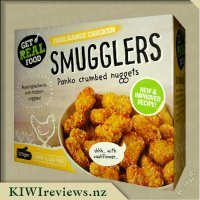 So if your after something different and yum to spice up your meal, fries, wedges or with platters then give it a try, especially if you like ginger and chilli flavoured food. We are huge Chilli Sauce eaters here, it is used for everything from dip, to marinade to a sauce. The kids are big fans and I also enjoy the flavours. 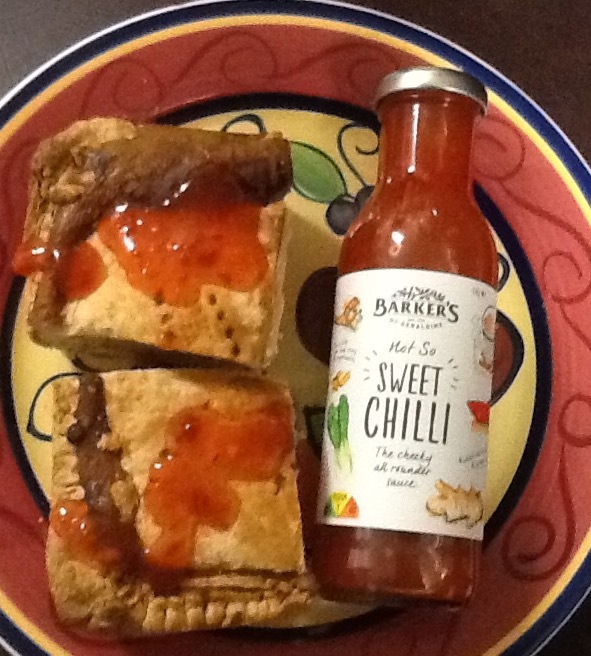 The Barkers Not so Sweet Chilli Sauce was different to any other Chilli Sauce I had ever tried before. I am guessing this was because of the Ginger. I was expecting something a bit spicier to be honest. The sauce did have a little bit of a bite to it but I would describe it as mild. I first tried this with sour cream as a dip with corn chips. It was lovely but not as spicy as expected. We had a party to attend so I marinated chicken nibbles in the sauce - they were divine and perfect for a kids party. Everyone asked what I had used for the marinade and they were a big hit. I make Sweet Chilli Chicken nibbles often and will be using the Barkers sauce more often because it is a lot more mild than what I usually use so better for kids parties where there are often children not use to the spice. The bottles are eye-catching and everything you need to know stands out well on the label! A warming classic soup made with pieces of chicken, corn and noodles.